considering contracting with the government and don’t know if it’s right for you or where to start? If you've been wanting to ask those questions, FINALLY decide if government contracting is an option for your business, and what all you need to do in order to get started. You've come to the right place. You can get your questions answered here. During this training, I'm answering the questions that I've been asked thousands of times. This training is cheaper than a 30-minute session with me and way cheaper than going through the process and then deciding government contracting is not for you. 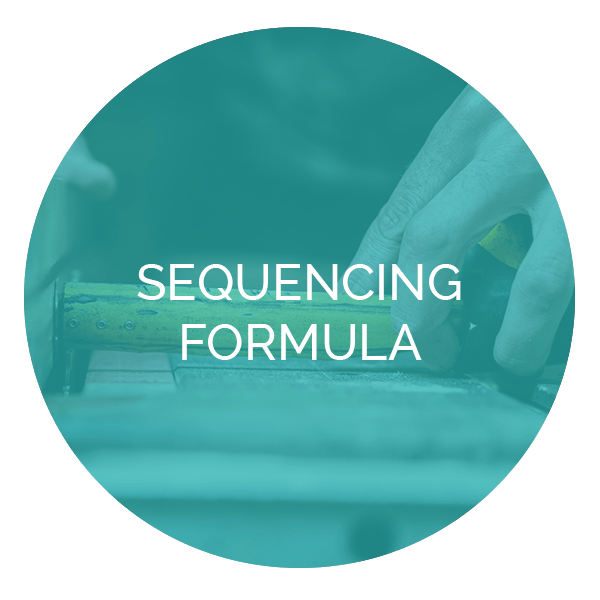 Now maybe you know, government contracting is for you, but you've been wasting months trying to figure out how to get started or what to do next all on your own and you're still not qualified to do government work... the SEQUENCING FORMULA IS FOR YOU!! In this 7 part step-by-step training, I'm taking you through my step by step process that enabled me to position my business properly in the government market and that my clients are using to be ready for contracts from the government. I'm deconstructing my 7 step sequencing formula to be a government contractor so you can see how simple it is to become a government contractor and win your first contract! Get ready for my BEST and EXACT Sequencing Formula secrets that make your steps smart by doing the right ACTIONS at the right TIME. FELICIA, THE INFORMATION YOU SHARED WITH ME WAS VERY HELPFUL. Don't miss out on the best training to get you started! TELL ME, dO YOU EVER FEEL LIKE sTARTING YOUR GOVERNMENT CONTRACTING BUSINESS IS LIKE AN UPHILL BATTLE? I remember bidding contracts and networking like crazy before I landed my first government contract. IT ALMOST TOOK ME OUT OF THE GAME. I mean a $23,000 year, but then I realized just how important it was to keep going if I was going to land my first $100K+ contract. SO, I BECAME A MASTER AT SEQUENCING MY ACTIONS! In fact, I tested many different strategies in various order, that all worked once I started with sequencing first, and I’m going to be sharing them during this training. My followers have identified their customer and landed contracts with this training! YES FELICIA! SIGN ME UP!! Ways to find government contracts you are more likely to WIN! let's get you contract ready! register now and gain access to this step-by-step training with videos so that you can learn and implement now!